Happy Wednesday friends! We have had so many great pictures sent our way recently - excited to share some of them with you today! First up this week, can we please just take a moment here and appreciate how beautiful this table is?!? 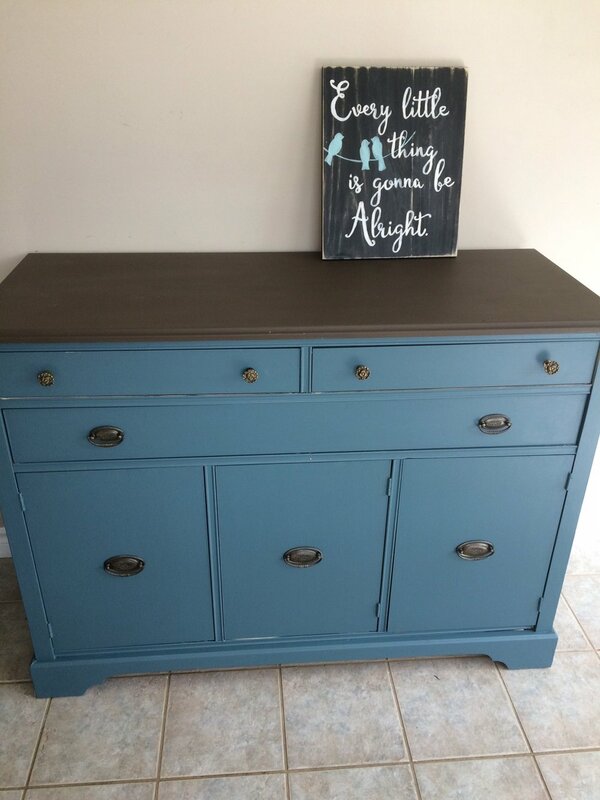 Angela did a great job restyling this little cutie in Cashmere from our van Gogh paint line. I think Angela was so excited to start her project and may have forgotten to take a 'before' picture - this happens to me all the time Angela! I can totally relate - I just want to get painting and get to the good stuff too! 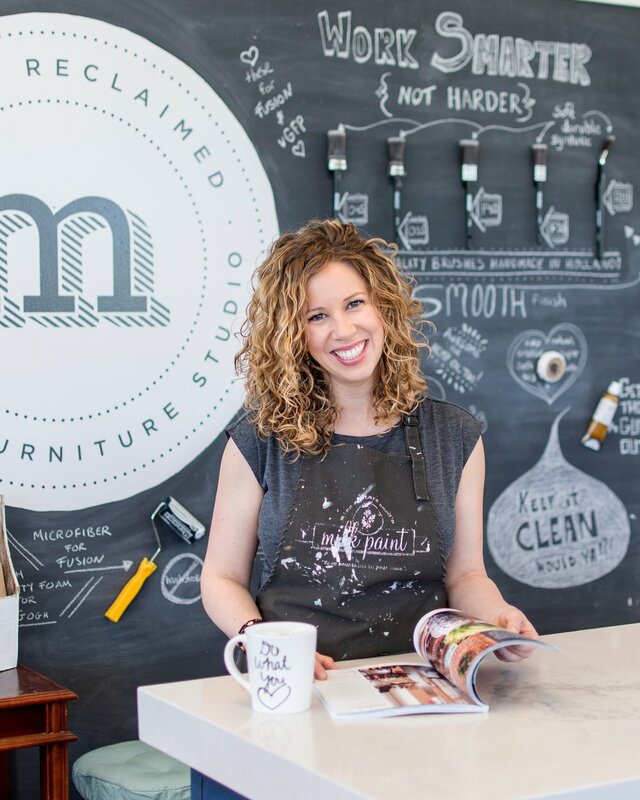 Next up this week is a big, bold and beautiful project by Elizabeth . . . hows this for adding a pop of colour to your space?!? Next up this week are a couple of restyles by Diana . . .she has been very busy with multiple paint projects! I get it Diana, it's sort of addicting right, lol?! And with results like this, I can see why your eager to keep going! Here is a before and after of a dresser that Diana painted using 'Homestead Blue' from our Fusion Mineral paint line. Love the colour - and I love that you kept the original hardware on this Diana - it looks perfect against the blue! Last up (but never least) this week is another cute restyle project also by Diana. This table got a sweet makeover with 'Revenge' and 'Cashmere' from our van Gogh paint line. Just a heads up here - that we will be closed this Friday April 14th and we will be open on Saturday April 15th. Happy Easter! !